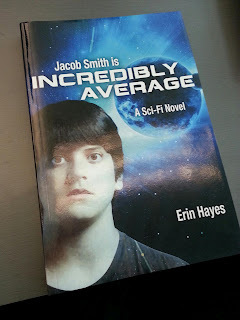 - See more at: http://blogtimenow.com/blogging/automatically-redirect-blogger-blog-another-blog-website/#sthash.UVsgb4Gv.dpuf Erin's Alter Ego Writes Books: Jacob Smith will be released September 21st and full cover wrap reveal! Jacob Smith will be released September 21st and full cover wrap reveal! 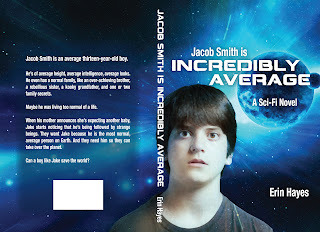 So I've been a busy little bee the past few weeks, what with work and trying to get Jacob Smith ready for publication. But the awesome news is that I had a big surprise waiting for me at work on Monday - my proofs came in. It's an amazing feeling, holding the book you've been working on for months in your hands. It makes what was just a document on your computer into a real, tangible thing. Truly, it is such a great feeling. Isn't it gorgeous? Chris got a huge kick out of it and we had coffee to celebrate. It's now sitting on a revered spot on my desk and it keeps distracting me because I constantly check on it to make sure it's there. And if you like the cover, here is the full wrap, featuring the back description. Behold this one's awesomeness too! "Jacob Smith is an average thirteen-year-old boy. He’s of average height, average intelligence, average looks. He even has a normal family, like an over-achieving brother, a rebellious sister, a kooky grandfather, and one or two family secrets. Maybe he was living too normal of a life. When his mother announces she’s expecting another baby, Jake starts noticing that he’s being followed by strange beings. They want Jake because he is the most normal, average person on Earth. And they need him so they can take over the planet. Can a boy like Jake save the world?" Sounds like something you want to read, right? Well guess what? 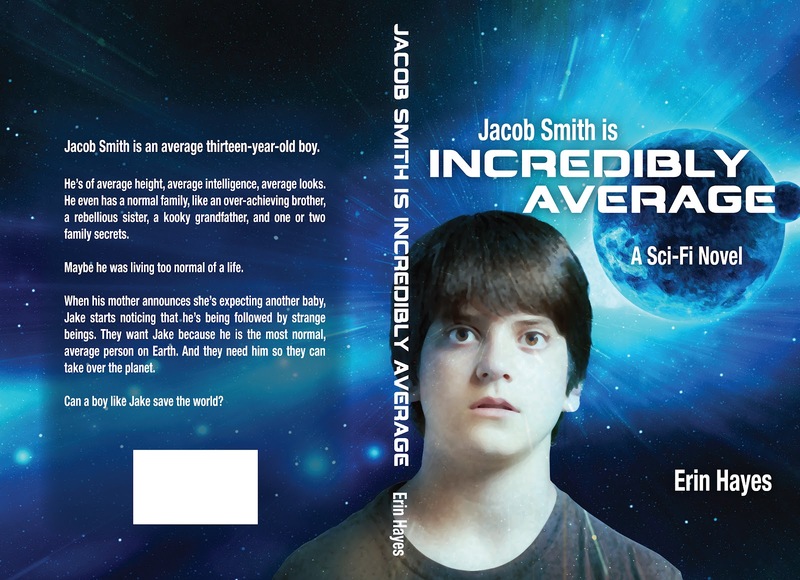 Jacob Smith will be released SEPTEMBER 21st for print, Kindle, Nook, Kobo, Smashwords, and hopefully Sony. I'm trying to figure out how Apple iBooks works and will try to get it on there, but you have to fill out an application and such to publish on that platform. So I'm working on it. Until then, if you do read from an iPad and such, you can download one the Kindle or Nook reading apps and read it like a pro on there. I'll do a whole host of links when that happens, guys, so you can find it really easily. I really want this book to do well, so I'm going to be pushing for it everywhere I can. And once it gets its proper push, I'll delve headlong into the next book. This is so much fun, and thank you for your support.